How Long Do Dental Fillings Last? Dental fillings typically last upwards of a decade. The type of filling and a number of other factors dictate lifespan. If you are surprised by the fact that dental fillings have limited lifespans, you are not alone. Plenty of patients assume dental fillings will last a lifetime. However, just like any other product, dental fillings have a limited shelf life. The lifespan of dental fillings hinges on more than the type of filling. The dentist’s skill, the area that requires the filling and the material of the filling all play a part in determining how long the filling lasts. Furthermore, the manner in which the patient cares for the teeth also determines the lifespan of a dental filling. Nowadays, most people use composite resin fillings rather than silver fillings. Also known as white fillings, composite fillings are much more aesthetically pleasing than the silver variety. A composite resin filling can last between 7 – 10 years. However, if you do not take good care of your teeth, the filling will likely last around 7 years or less. The bottom line is there is an expiration date on dental fillings. These fillings gradually wear down as time progresses, especially with considerable stress. Tooth decay that forms around the filling or along the surface of the nearby filling also mandates additional dental work. As more restoration is necessary, the original filling’s longevity gradually decreases. Composite resin dental fillings are popular since they look better than silver fillings. Plenty of dentists no longer use silver fillings in favor of the composite variety. Furthermore, composite fillings have more of an adhesive quality, making it that much easier for the dentist to perform minimally invasive dentistry that allows you to retain as many of your original teeth as possible. Silver fillings tend to last a bit longer than composite fillings. Your silver fillings will likely last around 12 years while most composite fillings last around 10 years. If you are willing to sacrifice smile aesthetics for an extra couple of years of filling utility, the silver variety is definitely worth considering. Abide by a daily routine of flossing and brushing and your fillings just might last a decade or longer. If you grind or clench your teeth, it is imperative you wear a mouth guard at night while sleeping to protect the integrity of your dental fillings. Let the grinding/clenching continue and your fillings will endure unnecessary wear, prove more sensitive and lead to the development of small cracks. It will also help to meet with your dentist every six months for a checkup. If you smoke, you are not doing your dental fillings any favors. Smoking slows the oral healing process and heightens the chances of gum disease. It will also help to avoid carbonated beverages as well as those high in sugar. Avoid sugar-laden juices, soda and gargling with apple cider vinegar. 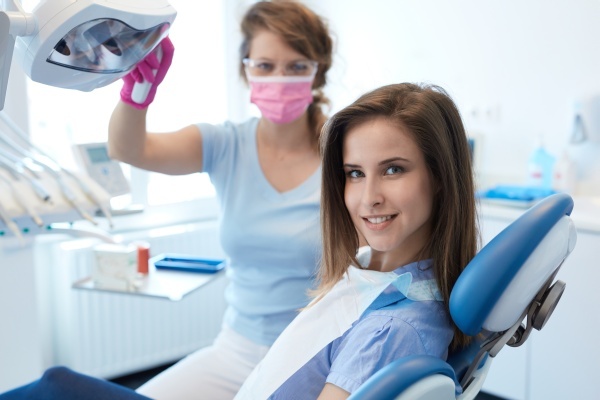 Request a dental appointment here: https://www.pearlshinedentalclinic.com or call Pearl Shine Dental at (281) 477-7200 for an appointment in our Houston dental office. Disclaimer - Use At Your Own Risk: - The information on this website is for general information purposes only. Nothing on this site should be taken as advice for any individual case or situation. Any action you take upon the information on these blogs is strictly at your own risk. We will not be liable for any losses or damages in connection with the use of the information from these blogs. © 2019 Dentist|12220 Jones Rd Ste C, Houston, TX 77070|Emergency - Website And Marketing by: K Business Solutions Inc.